Autumn is a gorgeous time of year in Maine and there is much to see around Lake Wassookeag in Dexter, part of the Maine Highlands of Penobscot County. This is an easterly view from near the public beach area. The cloudy overcast day actually draws attention to the diverse color of the leaves and the reflections on the lake's surface. 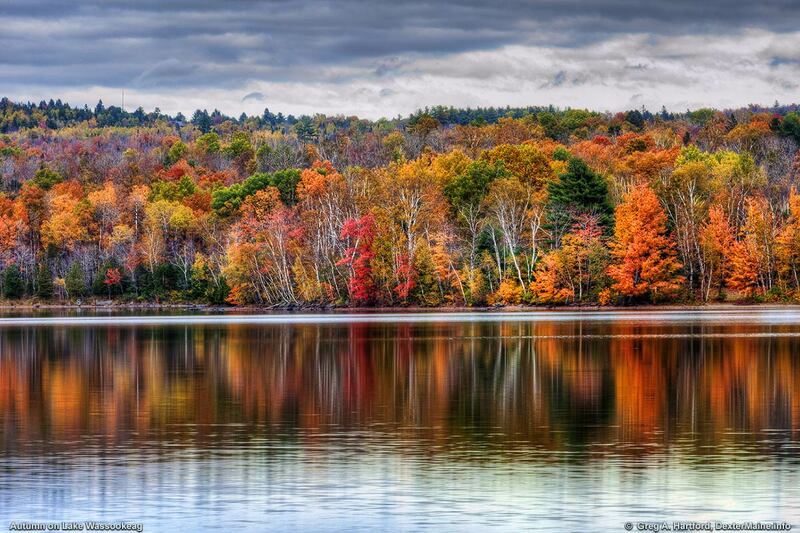 This is just one of the many reasons why we love Maine!